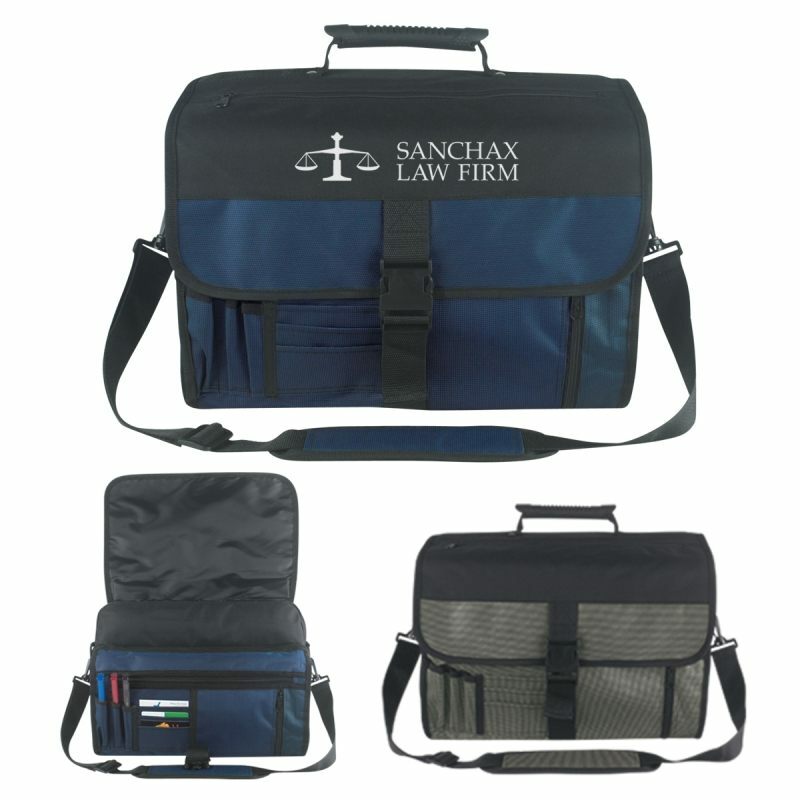 A good business briefcase or bag can serve as a mobile office and is particularly invaluable for those who travel, making one an excellent promotional item to gift to convention goers. Our selection of business briefcases and bags at Promotion Pros ranges from portfolio totes and simple but stylish cloth briefcases to leather boardroom briefcases and rolling duffels, virtually any and every type of business luggage the traveling professional might need. Give clients the simple, functional gift of storage through the 17” Computer Briefcase in Black. Carry all your work essentials, in style and comfort, using the classic black briefcase. Embroider your business logo in bright colors on it, to remind the recipient of your company’s service and commitment. Carry all your work essentials, in style and comfort, using the classic black briefcase. Screen Print your business logo in bright colors on it, to remind the recipient of your company’s service and commitment. 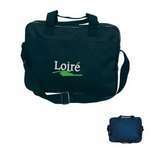 Create waves of appreciation for your brand name by gifting the Expandable Deluxe Briefcase, elegantly embroidered with your company’s logo, to customers and valued employees. This briefcase is made using 600D polyester. Promote your brand to high end customers and senior management at banks, corporate clients and high net income individuals with the Expandable Deluxe Briefcase. It is made using 600D polyester material. The legacy leather rolling duffel bag has an integrated in.jpgine skate wheel system and is a terrific branded corporate gift. Our Port Authority Commuter Brief Case features a checkpoint-friendly clamshell opening and screen printed logo. 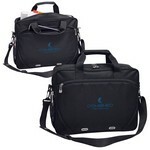 Showcase your logo on Document Messenger Bag, a practical storage solution that clients will love. 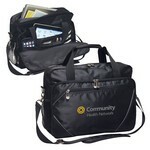 Our slim line computer brief case bag has a zippered main compartment and is great for company swag. This spacious rolling duffel bag has an integrated in.jpgine skate wheel system for smooth rolling and is great for employees and clients who travel.